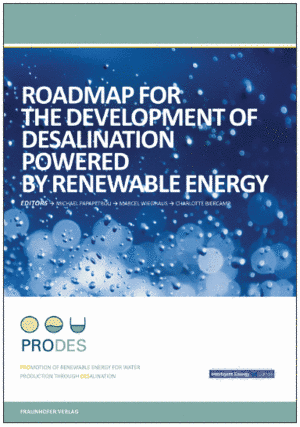 ProDes brings together 14 leading European organisations in order to support the market development of renewable energy desalination in Southern Europe. The project started on 1st October 2008 ran for 2 years. These objectives were achieved through the implementation of the carefully designed work programme by a selected group of partners from all over Europe with a wide range of backgrounds. The sole responsibility for the content of this webpage lies with the authors. It does not necessarily reflect the opinion of the European Communities. The European Commission is not responsible for any use that maybe made of the information contained therein.